Mold and mildew growth: A damp environment is very unhealthy and destructive. Mold thrives and reproduces by producing airborne spores by the millions, some of which are toxic. High humidity: High humidity is absorbed into the wood structure and moves upward into the hardwood floors which causes the floors to "cup". Cupping is when the hardwood floor absorbs so much moisture the wood swells and pushes upward at its edges. 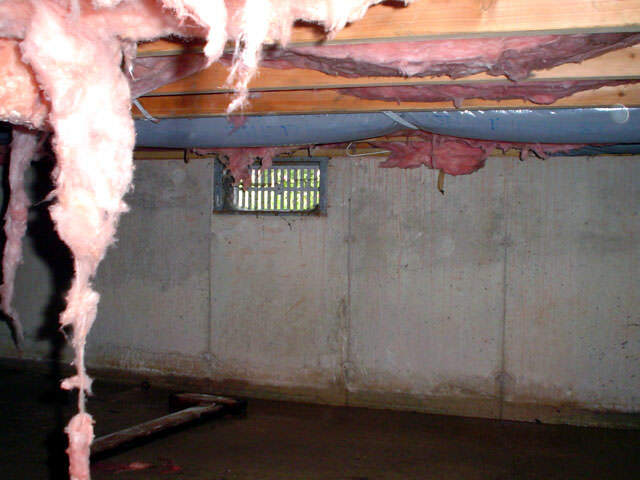 Structural damage: Rot and decay occur in damp environments causing structural damage. 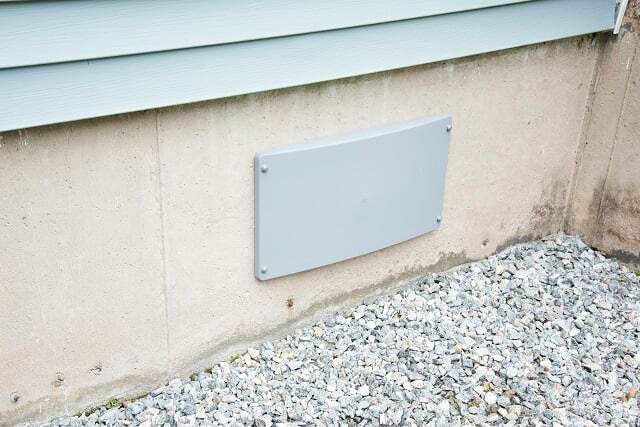 Higher energy costs: Heating and cooling costs are higher in a home with a vented dirt crawl space. 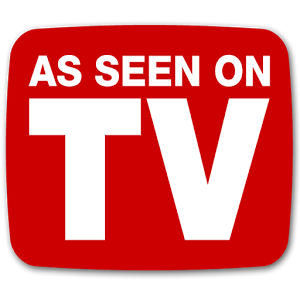 Insects and critters: Insects and critters of all kinds love damp environments and wet materials. 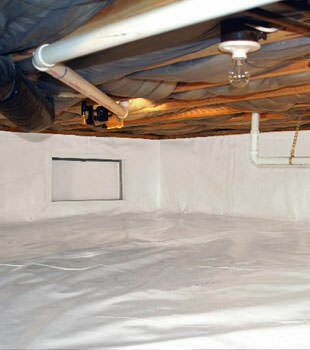 The way to protect a home with a crawl space is to seal the crawl space with an encapsulation system. 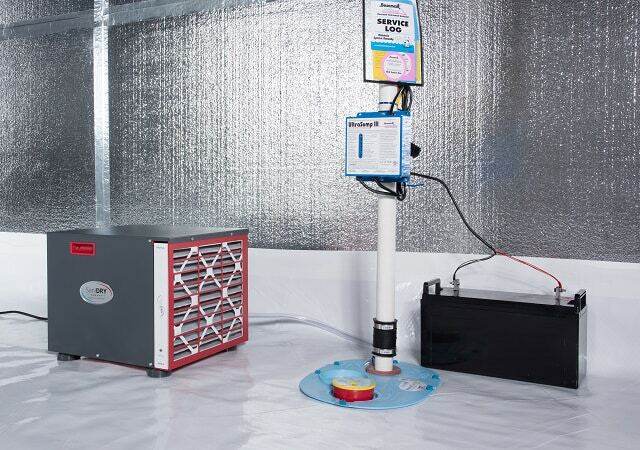 This dramatically reduces the humidity level in the air, reducing or in most cases eliminating mold growth, rot, and critters from your crawl space, and making the whole house healthier. 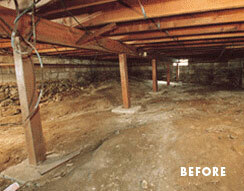 Trained installers will remove wood and organic materials from your crawl space floor. 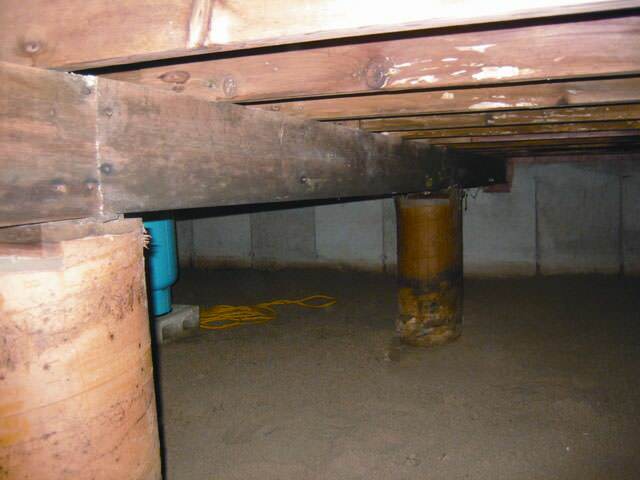 Rocks and uneven surfaces are leveled, depending on the crawl space conditions. The crawl space liner is carefully cut and installed. The workers will usually be working in their socks, once the floor piece is laid out to keep the liner clean. 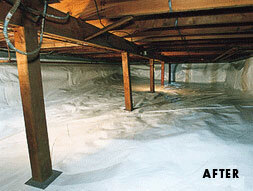 That's how clean your crawl space will be! Small holes are drilled into the top of your crawl space walls, and nylon fasteners are installed to permanently secure the liner to the walls. The top edge of the liner is sealed to the walls with polyurethane sealant. All seams are sealed with special 4'' wide sealing tape and/or sealant made for the liner. It is also sealed around other objects such as pipes, columns, and piers with any combination of sealants or concrete. The liner is completely sealed over the floor and walls to fully isolate your home environment from the earth. The liner is a heavy 20 mil thick material similar to a pool liner. It is manufactured in 7 layers - a blend of high density polyethylene, low density polyethylene, and two layers of polyester cord reinforcement. It is black on one side an white on the other. 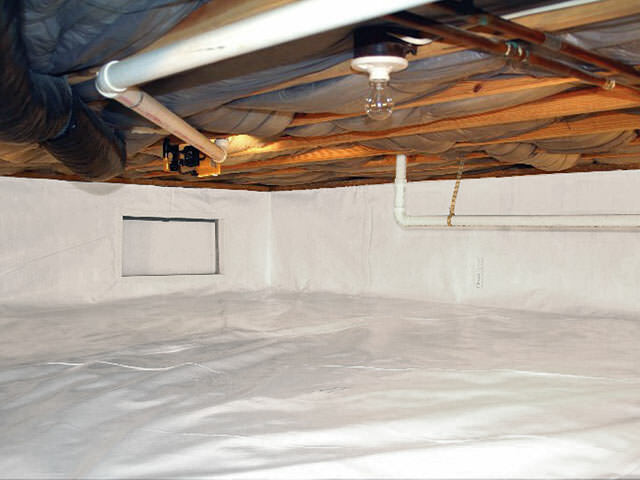 The bright white finished side really brightens a crawl space with the available lighting and allows you to easily see that your crawl space is free of mold, insects and dirt. 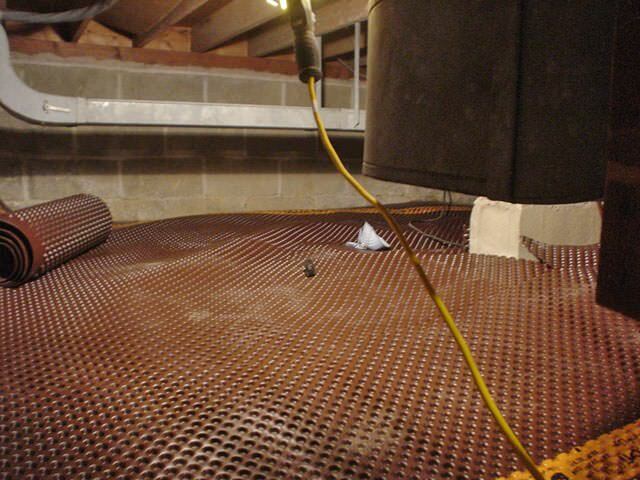 The liner is tough enough for you to crawl on it and use your crawl space for storage. Servicemen can crawl on it without worry of putting holes or tears in the liner. It completely stops moisture penetration. The result is an attractive, bright, tough, impervious liner and a healthy home above it. 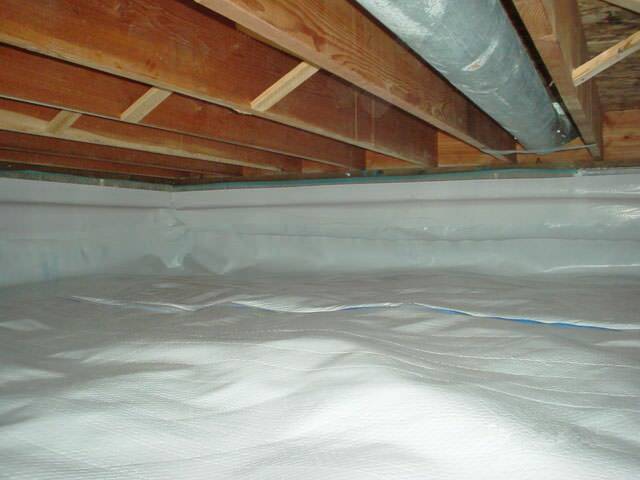 With the Encapsulation System Liner your vents will be closed up! This will save you energy costs, and make a more comfortable and healthy home. 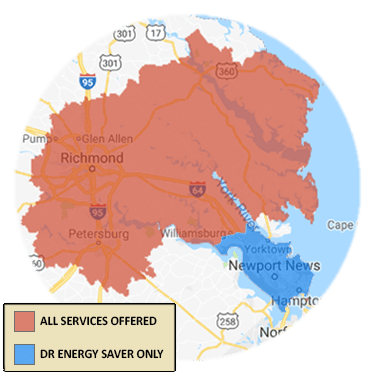 The Drying Co./ThermalTec proudly services the areas of Midlothian, Glen Allen, Mechanicsville, Chester and nearby.